EAPN's Political Declaration 2018 has been published during at the European annual General Assembly on the 29 September 2018. The redrafting team of EAPN (EAPN Portugal, EAPN Norway, EAPN UK, EAPN Ireland and the International Federation of Social Workers) finalized the declaration, which focuses on 6 key demands of candidates for the European Parliamentary Elections 2019. It has been shared with the Chairs of the political groupings in the current European Parliament, asking them three concrete questions: 1. 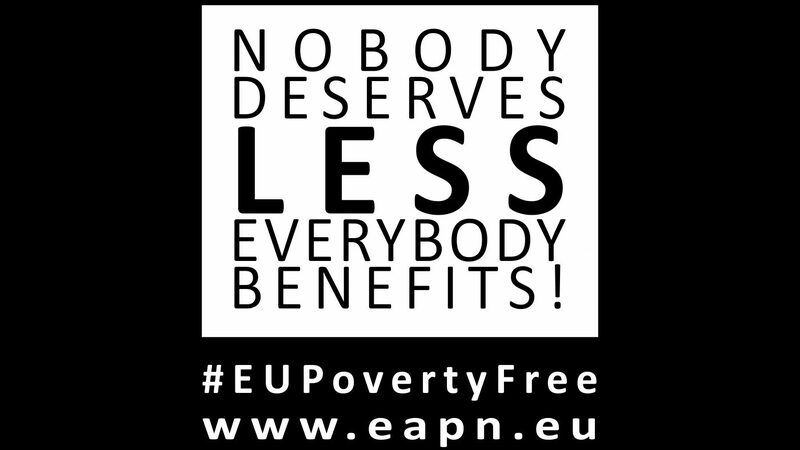 How does your political grouping manifest its commitment to making Europe poverty free? 2. What are the key priorities for the Future of Europe for your political grouping? 3. Does your group recognize the limits of the EU’s economic model, and what alternatives does your group propose?